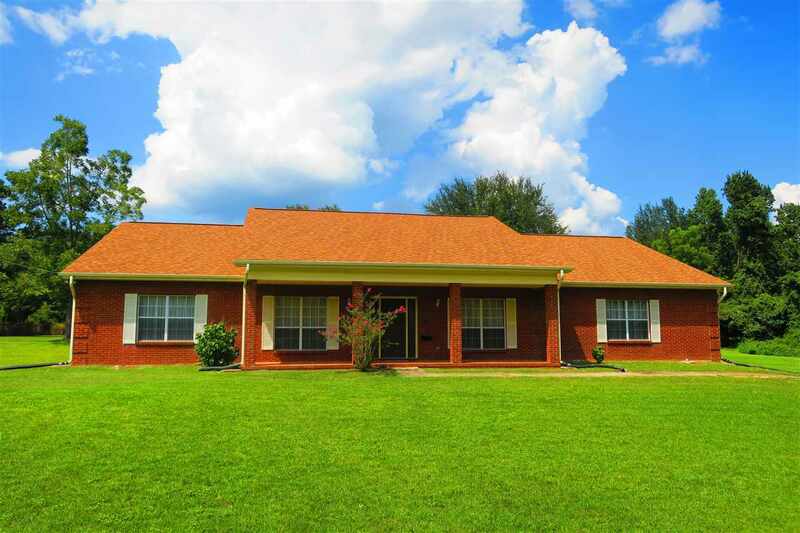 Very nice four sides brick home with a well groomed five acre yard! Offering a split floor plan, formal living and dining rooms, huge family room, large laundry room and more. Generous eat-in kitchen includes a bar, breakfast nook, pantry, gas oven/stove and stainless appliances. Enormous owner’s suite with huge walk-in closet, large bathroom with garden tub and separate walk-in shower and french doors leading out to the back porch. Enjoy times spent on the rocking chair front porch or screened in back porch. Other amenities include a wet bar in the family room, central vacuum, wood burning fireplace, french doors with built-in blinds, oversized 2-car garage, 2012 roof and more.